Spain Cuts Costs, but Is It Enough? 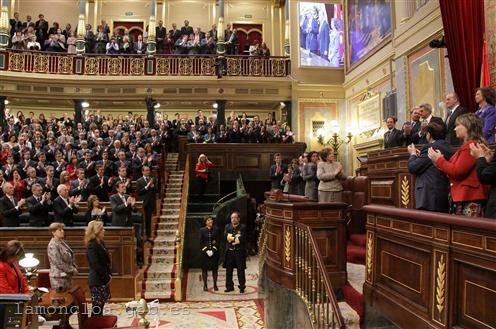 The most severe budget in over 40 years – this is how the Spanish government defined its 2012 budget, presented to Parliament on 3 April. The budget has one big goal - deficit reduction to 5.3% from the current 8.6%. The consolidation effort amounts to a total of 27.3 billion euros or 2.5% of GDP. 1.7% of the total amount will come from spending cuts and 0.8% from revenue increase. As a result mostly of the financial support for regional authorities, public debt has increased from 68.5% of GDP at the end of 2011 to 79.8%. Although the increase is over 10%, the government argues that debt remains well below the eurozone average of 90.4% and the state's borrowing needs for 2012 are 30% lower than in 2011. However, the news has worried investors, a concern clearly demonstrated by the first auction of government bonds after the presentation of the budget. Investor interest was obviously less, given the amount of bonds sold of 2.6 billion euro was close to the minimum target set by government. However, yields on the 10-year bonds increased sharply to 5.7%, which is the highest rate since January. "Although this effort to meet the deficit targets will be an effort for everyone, it will not impact on the most disadvantaged. Priority spending areas have not been neglected, the acquisitive power of pensions has been adjusted, and cuts have been made in public expenditure without cuts to social benefits." Indeed the budget has allocated nearly 116 billion euros for pensions, which is 3.2% more that in 2011. In return, central administration costs have been reduced by 65.8 billion euros. The biggest cuts have been made in the Ministry of Foreign Affairs` budget (54.4%, primarily due to the reduction of funds for the Spanish International Development Cooperation Agency and the Water Fund), the Ministry of Industry, Energy and Tourism (31.9%), the Ministry of Finance and Public Administration (22.9%), the Ministry of Education, Culture and Sport (21.2%) and the Ministry of Development (34.6%). Overall, the sums for investments in several areas have been affected - infrastructure, transport, agriculture, research and development, employment promotion, defence and home affairs (especially the fund for integration of migrants). Direct transfers to political parties and business and union organisations are down by 20%. It is expected this week the European Commission to come up with an assessment of the Spanish budget. Brussels was accused of double standards after it punished Hungary for its excessive deficit, but condoned Spain's unilateral decision to correct the deficit target for 2012 from 4.4% to 5.8%. The European finance ministers subsequently corrected the figure to 5.3%, which still remains a significant effort. Now the Commission will have to assess whether the targets can be achieved with the proposed measures. Accused by media of double standards, EU Economic and Monetary Affairs Commissioner Olli Rehn said that if the Commission found that Spain had not complied with the recommendations, Brussels would not hesitate to take action. It is also interesting how would Brussels comment on the reduction of funds for investment, promotion of employment, education and science (the top priorities in the European growth plan) at the expense of maintaining social costs. Moreover, against the background of the projected economic contraction and record high unemployment. It is uncertain whether this time the local authorities will manage with reducing their deficits, as up to now achieving the fiscal targets has failed namely at regional level. A potential danger to the budget stems also from the banks that are to be recapitalised with 50 billion euros by the end of the year and if they fail, they may need state supported. Some rumours have already appeared that it is bank recapitalisation that will force Spain ask for a bailout loan. The situation is further complicated by the increased social tension - strikes in Spain are becoming longer and more massive. However, as demonstrated by the Greek example, the political will and public support are crucial to the success of any measures against the crisis. 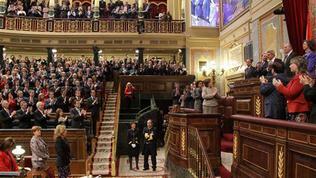 If the Spaniards lose patience, the bailout will prove to be inevitable, and they will have more difficult times ahead. As well as the whole of the European Union.